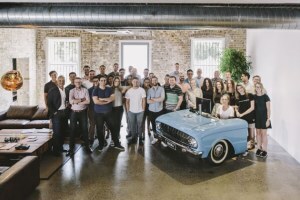 in the 2015 AdNews Media Agency of the Year and Dawson said the business is on track for its best year financial to date, while still considering itself "fiercely independent" despite the new ownership structure. He said his "eclectic and ambitious" team has greatly benefited from the "injection of creativity" that has come out of the deal, as the M&C group, predominately made up of creative agencies, continues to provide new opportunities. According to Dawson, that's not to say that the transition has not been a one-sided affair, as Bohemia gives the group a wider, integrated client offering. "The world didn't need another agency or media agency, it needed a better one and what we've achieved with our team and M&C over the last 18 months is a testament to that," Dawson said. "It's definitely brought in opportunities but equally, it's not like we're mandating. It's not like we're saying to our clients 'we're now part of the M&C Saatchi group - fire your ad agency, hire them'. By the same token nor are they. We are finding new opportunities and working together where it makes the best sense." Dawson said a big contributor to the successful transition of Bohemia has in part been due to the work of the agency's head of integration, former UM chief strategy officer, Sophie Price. Price said the integration of media and creative agencies was always challenging but added that Bohemia's own creativity in the media buying and planning sense allowed for a smooth transition. She said each business had a similar focus when it came to how they presented themselves to clients. "Bohemia always had a backbone of creativity. It's always leaned into ideas and had a big focus on strategy as opposed to some of the other media agencies in town which are definitely more buying focused," Price said. "There was a natural kind of alliance there and now we have the opportunity to truly find out how using creativity in tandem from both a creative and media agency point of view, can create a better-integrated outcome for clients." Dawson said the business, which this year won integrated accounts including Plush, Racing Victoria, News.com.au and Schneider Electric, will look for even bigger wins in 2019, as the business hopes to work with 'larger' M&C Saatchi group clients. Despite the successful transition, Dawson adds that the journey has not been without a learning curve, particularly from a leadership point of view. Entering a group primarily made up of creative agencies, he wishes he had been more assertive with the wider M&C team, admitting he initially held back, unsure as what to make of the overall organisation and his place in it. He admitted that was the wrong decision and has since begun to work more closely with group CEO Jaimes Leggett. "There are big personalities running their big creative agencies and they just talk a bit differently to the way media agencies talk," Dawson said. "I was probably a little bit cautious and standoff-ish in the first instance whereas I never needed to be. Sometimes it's lonely at the top and Jaimes has felt like I used to feel and we've related and bonded through that. "It's also helped in the way I approach opportunities within the business. To have someone from the creative side and in a leadership position share their honest opinions on a strategy with a completely different perspective is a great advantage to have." Bohemia head of performance James Collier, who has been with the agency for the entire seven years, said the business also has its strongest internal executive leadership team. He said the business has at times, particularly during its strong revenue period from 2014-15, made decisions based on necessity rather than fit. Now, the business looks to make leadership hires based on complementary skill sets that can allow each team member to focus on their own specialty while being supported by those around them. "When we have a problem or a challenge or we're looking at an opportunity, the way that we discuss, debate and find the way forward is just incredibly collaborative and meaningful so there's not that tension and thrash that some of the leadership teams we've sat on in past lives have had." 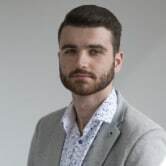 Head of media and investment Theo Zisoglou said he arrived at a time where the business was dealing with the pressure of massive new business growth and in particular getting the right people in with the right experience in the right roles. Adding that while Bohemia lost a few clients as a result, it was a "blessing in disguise" as the business was able to reset the functioning of the agency and also retain and reset its best talent. "The result of all this has been outstanding. The majority of our people recruitment now come from within and we sit here with less than 10% churn and a 0% vacancy rate," Zisoglou said. The work has paid off this year, with Bohemia once again reclaiming the title of happiest agency in the country (Based of Media I research). As for the future, Dawson and his team have two goals, one front of mind and the other a longer-term goal. "First would be staying in business. Joking of course as in reality, we are doing better than we ever have and are on track for our most profitable year - so for 2019 it's more of the same, while we look to snag some larger clients, with bigger billings," he said. Secondly, while we're bigger here in Australia, we all harbour an ambition to hopefully roll out what we're building locally with the M&C Saatchi group overseas. That would be a fantastic thing to achieve. To take an Australian independent into New York and London. "As I said, the best is very much yet to come." Bohemia CEO Brett Dawson says "the best is yet to come" when looking to the future of the M&C Saatchi majority-owned media agency, which last week celebrated its seventh birthday. It's been close to two years since M&C Saatchi acquired the majority stake in the 2015 AdNews Media Agency of the Year and Dawson said the business is on track for its best year financial to date, while still considering itself "fiercely independent" despite the new ownership structure.